← Commitment: The Gift That Keeps Giving! We’re all aware of the parade of powerful, public figures from Today Show host Matt Lauer to hotel and casino mogul Steve Wynn to White House staffers who have fallen in the #MeToo movement. It has gained momentum as women are deciding that, “We won’t take it any more.” Mass revelations of sexual misconduct and abuse perpetrated by a who’s who of show business, industry and political titans are making headlines almost daily. This is certainly a positive development for our society, shocking and sad as it is to recognize how pervasive this ‘bad behavior’ – as many have termed it – seems to be. The fact that even the most powerful exploiters are being toppled is a sign of maturing attitudes. However, the sheer frequency of allegations of misconduct is beginning to create some backlash. If we are to continue making progress beyond the present moment, we must understand what’s behind these episodes. Why do so many people behave this way and what can be done to affect pervasive change in what we’re willing to accept as ok? The answers are not simple, yet in a few words, I feel compelled to distill down the problem and solutions from the psychotherapeutic perspective. 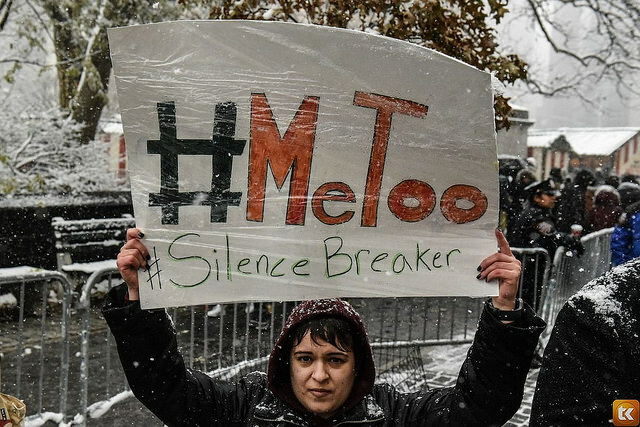 First, while it is common knowledge that men – and in some cases, women – at all levels of society have been engaging in sexual misconduct in the workplace and elsewhere forever, it has never been ok! This bears repeating: Sexual intimidation – for that’s what it is – has never, is not, and will never be ok!! Why does it happen and why have we accepted it for so long? It’s about psychological dysfunction and it’s about power – or lack thereof. Why would people who have attained great success, including reaching the pinnacles of their chosen fields, risk it all by engaging in sexual intimidation? Take Matt Lauer who was beloved by audiences and co-workers who were shocked to learn about this aspect of his personality. Also others from Steve Wynn to Harvey Weinstein who were revered or feared? Why? Why do they put it all on the line? It’s tied to character disorders that underlie and have the ability to undermine the positive results of native talent and drive. It’s perhaps easier to understand such dysfunction by first reviewing how emotionally healthy human beings behave. They respect themselves and, therefore, in their relationships whether professional or personal, they respect others. Respect is the underpinning of trust, positive regard and authentic love. If you dig behind the facades of abusers, you will discover lack of genuine self respect – for any number of reasons based on their life experiences. When these individuals nonetheless achieve success, their personalities often become grandiose, which is a cover-up for unaddressed insecurities. That insecurity – a lack of a sense of genuine power – frequently results in a lack of empathy for others. This is especially true when connected to sexuality – a drive tied to our very survival. For these individuals, fantasies can become distorted and lead to abuse of those deemed to be weak, vulnerable or subject to control. The impetus for this behavior – a form of bullying – is on a subconscious level. The difficulty is that abusers often have no capacity for the self-awareness required to change and can continue their aberrant behaviors for decades or a lifetime without remorse. Should we feel sorry for these individuals? Perhaps on some level. However, we are all responsible for our own lives and the choices we make. It is extremely difficult for some of these abusers to take responsibility as they see their actions as an entitlement. However, it’s not impossible. If abusers cannot or will not recognize their own deviance and find the courage to get help to address the inevitably painful experiences that led to their behavior, then I believe it’s a positive outcome that society is taking them down. Perhaps when confronted with severe rejection of their actions and a healthier, alternate world view, they will finally recognize that they must take steps to better understand themselves, so that they can change. This entry was posted in Abuse, Anger and Control, Anxiety, Attitude, Betrayal, Celebrity, Character, Choices, Ego, Emotional Courage, Emotional Pain, Emotionally Safe Environments, Emotions, Fear, Anxiety and Panic, Grandiosity, Hate, Helplessness, Hopelessness, Horror, Immaturity, LevineCounseling.com, Low Self-Esteem, Lying, Not Good Enough, Personal Boundaries, Personal Change, Personality Disorders, Physical Abuse, Political, Power and Control, Relationships, Setting Limits, Sexual Abuse, Sexual Disfunction, Sexuality, Tragedy, Trust, Uncategorized, Violence and Aggression. Bookmark the permalink.